A straight smile can reward you with attractive teeth and improved confidence. As this video demonstrates, it can also enhance your oral health. If your teeth fail to have proper alignment, they may form an unhealthy bite when you chew. As a result, you might inadvertently damage your tooth enamel each time you enjoy a meal or snack. Enamel erosion and breakage can both occur from bite issues. When you undergo Invisalign treatment, your dentist can correct your bite concerns so that you can enjoy strong teeth well into the future. In some cases, orthodontic treatment can also alleviate jaw pain associated with extreme bite problems. Do you suffer from an overbite or under bite issue? If so, call Park 56 Dental at (212) 826-2322 to set up a consultation with a top cosmetic dentist in the greater NYC area. Are Straight Teeth Healthier Than Crooked Ones? Crooked teeth can make it difficult to enjoy a clean smile. When the teeth crowd in the mouth, they can create areas of obscured tooth enamel and gum tissue. If a toothbrush or floss cannot reach these parts of the mouth, they can become vulnerable to bacterial and plaque growth. In contrast, straight teeth make it easier for toothbrush bristles and floss to clear away bacteria, food debris, and other contaminants. When crooked teeth prevent effective oral hygiene practices, tooth enamel can suffer. Though an incredibly hard substance, enamel can become susceptible to tooth decay when bacteria have the chance to grow and cover it in damaging bacterial acids. The longer these acids remain on tooth enamel, the more extensive the harm they can do. If enamel erosion continues for an extended period of time, tooth decay may infiltrate the tooth interior, necessitating a root canal or tooth extraction. Aligned teeth facilitate the cleaning process, which reduces the likelihood that bacterial acids will attack and deteriorate tooth enamel. Crooked teeth make it easier for plaque to build on tooth enamel as well. Plaque forms when bacterial acids coat the tooth surface and mix with food remnants. This sticky substance causes gum inflammation, which may contribute to gum tissue recession. If early stage periodontal disease is not treated as soon as possible, it can trigger irrevocable damage to the gums and underlying bone. Under some circumstances, tooth loss can occur. However, straight teeth allow for better brushing and flossing practices, which can lower the instance of periodontal disease and tooth loss. Are your crooked teeth affecting your oral health? If you want to enjoy straighter and healthier teeth, call Park 56 Dental at (212) 826-2322. Our team of top cosmetic dentists in NYC can evaluate your orthodontic needs and recommend treatment options to correct them. Biannual dental checkups are an important aspect of maintaining a healthy and beautiful smile. During your regular checkup, your dentist will perform a complete inspection of your teeth and gums. This inspection will help him to spot common issues, such as cavities or gum disease, when they are small and have not caused significant damage. Early treatment for these dental conditions is often less expensive and less invasive than the treatment needed if the issue is allowed to persist. Additionally, dental checkups include an oral cancer screening. Oral cancer is a deadly but treatable condition, provided it is identified early. Your dental visit will conclude with a professional cleaning to remove tartar buildup from the teeth, which you cannot remove via regular brushing at home. If you have questions or concerns, you’ll also be able to discuss them with your dentist during your appointment. Is it time for your next dental checkup at Park 56 Dental? Contact us by calling (646) 783-3529 to schedule your appointment and find out more about general dentistry, smile restoration, and Invisalign. You can find more dental health information and tips on our blog . Invisalign offers orthodontic treatment without the need for metal and wire braces. Many teenagers and adults choose Invisalign because of its aesthetics, comfort, and convenience. If you’d like to learn more about Invisalign in NYC , contact Park 56 Dental today for a consultation. 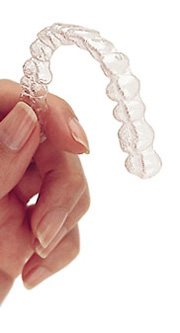 During treatment with Invisalign, you will wear a customized set of clear plastic aligners . Invisalign aligners snap directly over your teeth, making them impossible to detect when you smile or speak. The aligners exert gentle pressure that slowly moves your teeth into their proper positions. You will switch to a new set of aligners every two weeks to continue your treatment until your teeth have reached their ideal alignment. Whenever you eat or drink, remove your aligners to avoid damaging or staining them. Keep the aligners in a hard plastic case to avoid throwing them away. When you are done eating and drinking, brush your teeth and replace your aligners. You should also remove your aligners and clean them when you brush your teeth. Soak the aligners in an Invisalign cleaning solution or brush them gently with a soft-bristled toothbrush and non-whitening toothpaste. Rinse off the aligners and put them in once you are done brushing your teeth. During your Invisalign treatment, you will schedule a progress check with your dentist every four to six weeks. Your dentist will examine your tooth alignment and provide tips or other information about your treatment as needed. 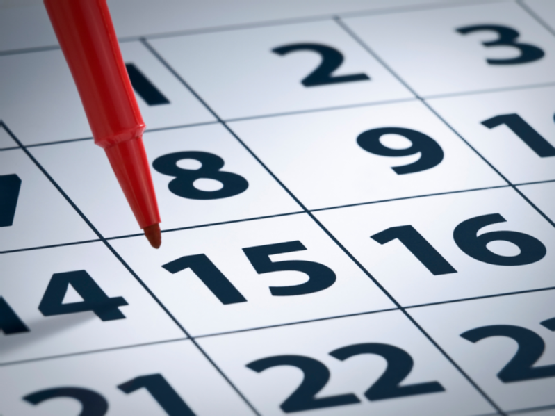 Most of these appointments are very short and can be scheduled at your convenience. Invisalign allows you to improve your smile at any age for greater confidence and improved dental health. You can join the millions of patients enjoying Invisalign treatment worldwide by calling Park 56 Dental at (646) 783-3529 to speak with a cosmetic dentist today . You can find the answers to more of your Invisalign and dental health questions on our website.